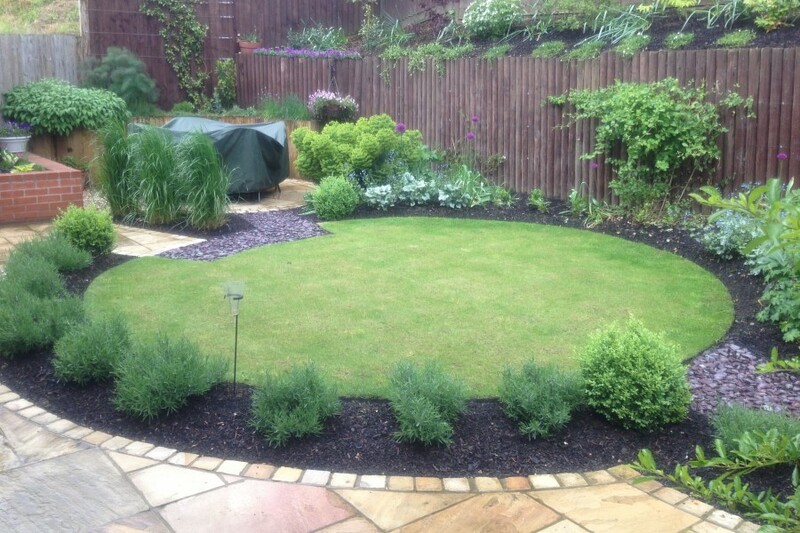 A small garden in North Essex with sandstone paving, paths made from plum slate chippings, a round lawn and soft planting. A Lavender hedge and Box Balls were used to add all year round structure, whereas grasses were included in the design to add movement. Shrubs were used on the upper section for a mature feel. The contemporary raised bed to the rear of the patio, made from soft wood sleepers set vertically into mortar, is intended to be used to grow. 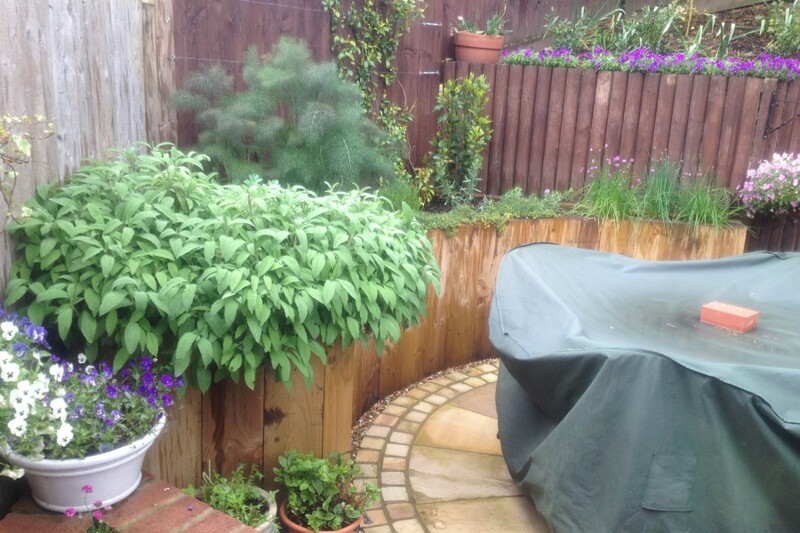 Plants used include Calamagrostis, Echinacea and Iris. 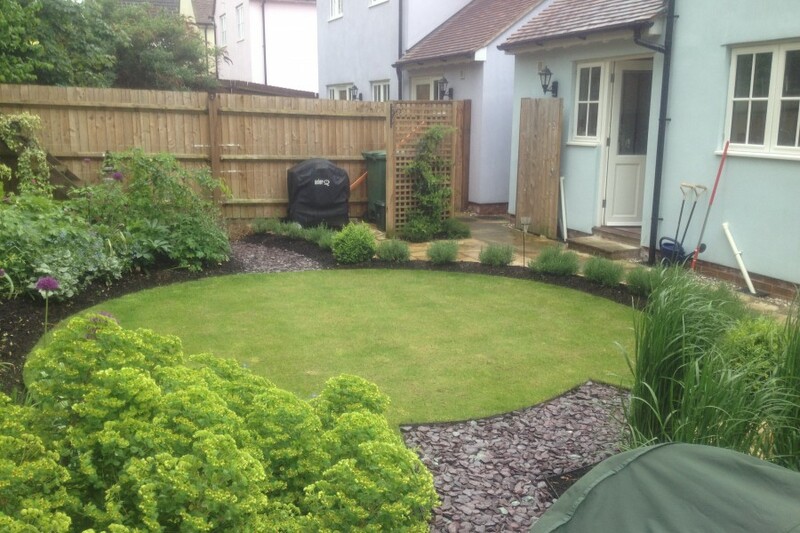 A round lawn and soft planting. A contemporary raised bed for further planting. Small patio area for entertaining.